Dan Aubrey, a 35-year-old mechanical engineer from Chepstow, Wales, will be joining the Bennett-to-the Bering crew for one week on what is one of the most scenic sections of the river, from Carmacks to Dawson City, Yukon. The second part of the fundraiser was a hike to the top of Mt Toubkal, Morocco. At 13,671 feet, the peak is the highest point in North Africa, and the highest Dan has climbed to date. 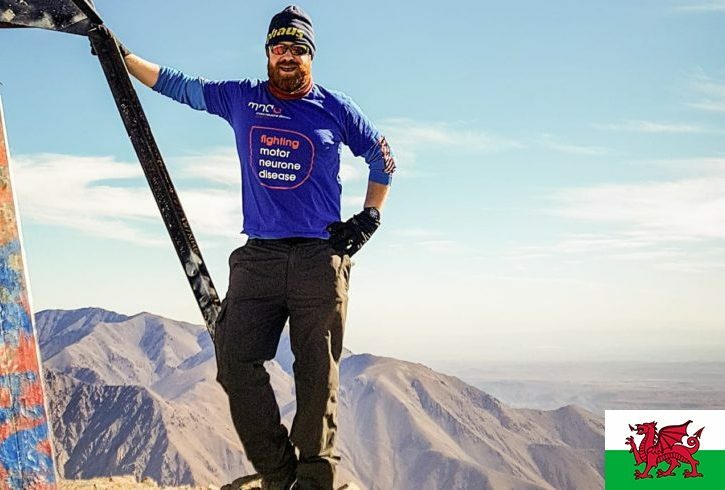 “The feeling at the top, apart from exhaustion, was awesome! As was the view! Morocco is a great place to visit, the scenery is outstanding and the people were so welcoming and friendly. Dan’s desire to join the Bennett-to-the-Bering expedition is also a two-fold proposition. “From a young age, I have always dreamt of kayaking in the Canadian wilderness and what better river to paddle than the mighty Yukon? The trip will push me beyond my comfort zone and challenge my skills as a kayaker,” he said. Editor’s Note: Dan is one of six team members that will take part in the expedition, and is the only member from the United Kingdom. Read the other team members’ bios to learn more about this unique group.